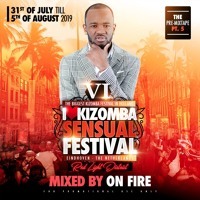 ILKSF is one of the biggest Kizomba Festival in Europe. The festival is located in the heart of the city of Eindhoven – The Netherlands. It’s a 6 day event with different party locations with multiple activities. ILKSF is more than a Kizomba festival, our goal is to provide you the most unique experience with unforgettable moments. Please note that this year there is only one type of pass; ALL ACCESS PASS which gives you access to the parties, workshops and social Room. Welcome to the “City of Lights”, the home town of the famous brand Philips. Eindhoven has more than 250.000 inhabbitants and 5th largest city in the Netherlands. Eindhoven is known as the capital of technology, by its street life and one of the most modern cities in Europe. ✔ Easy access from the highway. ✔ 1 hour by car from Germany. ✔ 1 hour by car from Belgium. ✔ 2,5 hours by car from Luxemburg. ✔ Eindhoven Airport is only 15 minutes by public transport. ✔ Central Station with direct connections to cities like, Amsterdam and Rotterdam. Evoluon is the most ICONIC building of Eindhoven. The venue looks like a spaceship from the outside and inside has different rooms which gives you the perfect atmosphere for the workshops and social. Evoluon has the perfect outdoor area, where the dancers can relax with their friends, eat and enjoy the outdoor activities. Effenaar is the most historical concert building of Eindhoven. Effenaar has the perfect sound system, the perfect light shows and 4 different rooms and all of it combined makes it the perfect venue for the parties. This year ILKSF has a new main hotel “The Student Hotel”. This amazing hotel is located next to the train station and next to the main party venue the EFFENAAR. Welcome to another amazing edition of ILKSF. For the first time at the festival we’d like to introduce “The Teachers Training”. Would you like to improve your dancing and teaching skills? Would you like to become a certified teacher? This is the perfect opportunity. “THE ILKSF TEACHERS TRAINING” offers three different trainings by three amazing teachers: Fabricio Do Zangado, Curtis Seldon and Eliza Sala. We’ll have three different packages: Semba Teachers training, Urbankiz Teachers training and Lady Ginga Teachers training. The training takes 8 hours, which means 4 hours a day. All of these trainings are level 1 and the participants will receive a certificate after completing the whole teachers training. - The Urbankiz teachers training will be on the 1st of august the until 2nd of august. - The Lady Ginga teachers training will be on the 1st of august until 2nd of august. You want to deepen your knowledge of Semba, improve your technique as a dancer. STEP 1: History & Music (Influences & Major Characters). Curtis Seldon will give you access to his knowledge and know-how in terms of teaching technicals, so that you, in your turn, can disseminate your knowledge to your students or Future students. Soon more info about the Urbankiz and Lady Ginga program. THE TRAINING IS FOR THOSE WHO ALREADY DANCE SEMBA, KIZOMBA OR URBANKIZ. NO BEGINNERS & NO PARTNER NEED TO REGISTER. At the end of each training there will be a final exam. Important fact: The training package does not include the ILKSF pass.